Don’t miss this week’s installment of MTG Fast Finance! 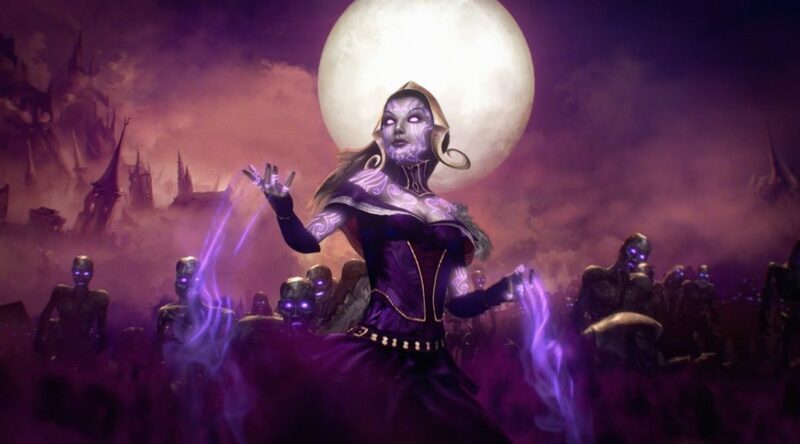 An on-topic, no-nonsense tour through the week’s most important Magic economy changes. Hey everyone. It’s been about a month since I last wrote or appeared on a podcast, a month during which I took an extended vacation. I hesitate to use the clichéd compound adjective “much-needed” to describe it, because honestly, I didn’t really need the vacation. Others need a vacation much more than I did. My girlfriend and I both finished our graduate degrees and decided it was a good excuse to take a trip, so we went. Although I suppose can’t call her my girlfriend now, as she has since become my fiancée. It’s a great life choice overall, but man, getting engaged and subsequently married is probably the second-worst EV decision you’ll ever make, with procreation being the worst. After looking at wedding venues, there’s something to be said for lifelong bachelorhood. 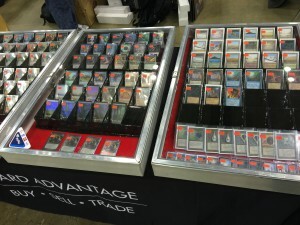 Quite a bit happened in #mtgfinance while I was gone, something I hadn’t counted on. These months are typically the quietest for our little hobby, and instead of three sleepy weeks where the largest gain a card managed to pick up was 30%, half the reserve list was bought out and a burgeoning supervillain of the pharmacy industry waded into Magic. Thanks for saving the juicy stuff until I got back you guys. A lot has been said, typed, and scrawled in blood on these topics so far, so I’m going to let them be for the time being. God knows they’ll all resurface in time, and I can piss into the squall right along with everyone else when that happens. In the meantime, I would encourage any of you that have been considering purchasing any cards on the reserve list with greater conviction than idle desire to act posthaste. With how few copies are out there of any given card, you could wake up one morning and find that the Polar Kraken you had your eye on for your “things that look like slugs but are actually monstrous sea creatures” EDH deck has risen in price by 2,000%. Good Article, as always Travis. Welcome back! Any thoughts on Grim Flayer? I was able to pick up a playset for $20 the morning it was previewed. I think as both a delirium enabler, and an early beater – this card could be a major component of the BGx decks – also – what legs does it have for modern playability? Thanks for a good article Travis. I’ve really been enjoying the podcast as well. I do miss the days when you posted the shown notes here, it’s easier when I can see your specs written out. Also at the end of each episode James says if I sign up for MTGprice I will get early access to the show. I don’t think I’ve ever seen it posted early here, and often not at all. Anyway, I don’t want to criticize too much. Your content is excellent and I’m happy to get it even late. I just thought a small nudge might help.